Garage Improvement: Add Storage Space! 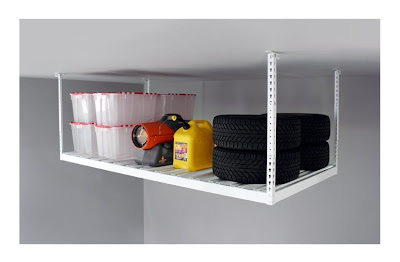 One garage storage product that gives the biggest bang for your buck is our Onrax overhead storage rack. The Onrax units help keep wall and floor space clear so that cars, bicycles, gardening tools, and sports equipment do not have to compete for space. The most popular 8' x 4' can provide up to 112 cubic feet of storage! This is a great solution for Christmas Decor storage and off season tires. This industrial strength rack is superior to other racks found in home stores. It can hold up to 800 pounds. Another great feature is variable height adjustment to fit above your garage doors or anywhere in your garage or storage space. Call us to add extra storage to your garage today.